Spring is an interesting time of year for the hockey world. There is seemingly no end to the options available for the competitive hockey player in the “off” season – if you are offering a training option, here are some tips (from a coaching perspective) to make sure you’re serving your athletes effectively. Tempo: If you are expecting your athletes to compete at the same level they did over the previous 6 months, you’ll likely be disappointed. There is nothing wrong with expecting effort, but understand the early phases of the off season need to be about lower tempo, higher detail. Get in-depth with whatever skill you’re looking to teach and make sure you’re armed with the proper technical knowledge to effectively communicate the key components. Skating: It becomes tempting as a coach to overlook incorporating skating in to each session. It isn’t always exciting, it’s not a player-favorite, it’s an extremely intricate art, and you have to make sure your goalies are still getting beneficial training. The bottom line is there is not a single skater on your ice who does not need to work on their skating. Players and coaches who truly embrace skill development understand this is an extremely important topic. Games: Off-season games don’t make your players better, in fact they usually just create bad habits – habits you will need to spend time fixing later. Most spring / summer games are simply glorified rat hockey. This isn’t to say you can’t play any games over the off-season, simply use them sparingly and in an amount appropriate to the level you are coaching. The more competitive the team, the fewer games necessary. Off Ice Training: If you are involved with a competitive team, age-appropriate off ice training is a must. Look for qualified professionals to train your players or at minimum oversee the program design. While most coaches are well-meaning, the likelihood of injury skyrockets when the person running the workout is unqualified. A proper off ice training program should include measures to correct specific pattern overloads created by our sport. Planning: Many coaches view the spring and summer as a time to “wing” it when they hit the ice. While many coaches can “wing” the drills being run, the concept being taught should not. Plan the skills you want to cover and build a skill progression. This way even if you don’t have time to put together the specific practice plan, you will still be able to teach the concepts in the correct sequences. It is always best to have the full practice plan created and saved for future reference. If you’re looking for some training ideas, have a look at our video section with over 100 skill videos and our free hockey drill library featuring over 1,100 drills. Best of luck this off season! Eric Hoffberg (“Hoff”) is a brilliant mind when it comes to leadership and mental toughness. He spends his days training professional athletes and coaches as well as top corporate executives – but one of his true passions is hockey. Hoff recently shared a great document for coaches focused around raising self-awareness around the leadership and attitude. Every coach who is serious about creating a winning culture should give this document a serious look. Eric Hoffberg spent 16 years coaching hockey, college, then pro. Originally from Rochester NY, Hoffberg was the head coach at RIT all through the 90’s. Today, Hoffberg works as both a Corporate Coach for leaders and executives across the country that are looking to build High Performance Cultures and as a Mental Toughness Trainer for athletes that are looking for a greater understanding of how to focus under pressure. He is the author of two great books (Think Strong Reminders and Think Strong for Athletes) for training attitude and mindset. Learn more about Hoff at www.erichoffberg.com. HockeyShare has put together two videos illustrating tips & tricks for teaching the penalty kill for both forwards and defensemen. The videos cover keys to look for during coverage as well as technique and positional topics. Several months ago, a friend of mine introduced me to Eric Hoffberg. Eric trains many elite-level (pro, college, junior, etc) hockey athletes and a lot of corporate clients in the art of mental toughness. Through many conversations, Eric and I quickly realized how much we had in common in terms of our views on not only the game but also on mental training, and began immediately working on creating content together. 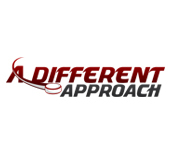 We are excited to announce a June 2014 launch of our first product together titled: A Different Approach. The program is all about how to build and plan your season with intention, and we know it will give you some great ideas and thinking points. We have gotten a lot of great feedback from users on our video on attacking the high seam off the half-wall. Lots of people wrote us asking to see it in action, so we provided a series of links to additional videos showing the use of the seam to either create a goal or set one up. In case you missed our video – we have embedded it below. The example video links are located below the video.